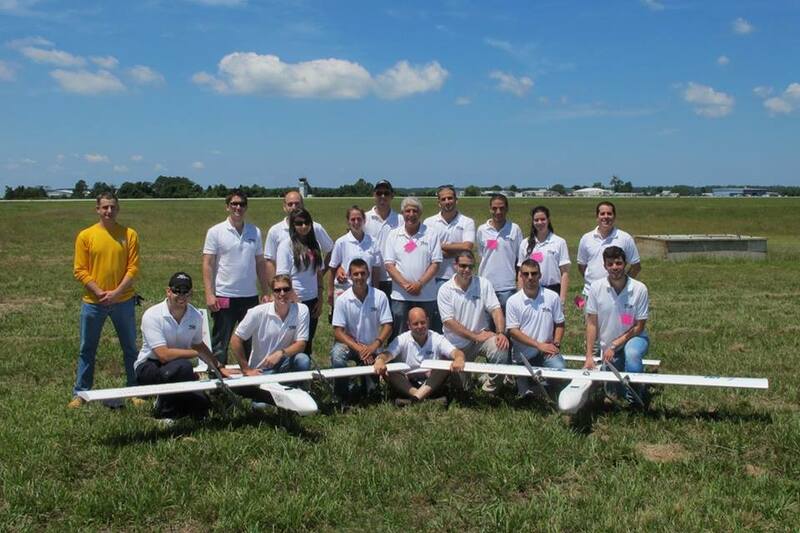 The AUVSI students team wins 5th place in the Annual Student Unmanned Air Systems (SUAS) Competition. 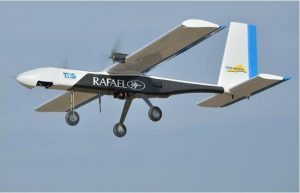 A joint team of students from the Aerospace Engineering and Computer Science departments under the supervision of Mr. Dror Artzi has developed, within 9 months only, an airborne system that carries out reconnaissance missions, targets acquisition, communication and dropping payloads on ground target, all completely autonomously. 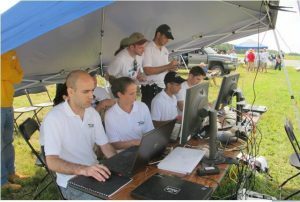 The system was part of the Annual Students Unmanned Air Systems (SUAS) Competition that took place in Webster Field USA on June 2014, and won 5th place of 48. The Competition was organized by the Association for Unmanned Vehicle Systems International (AUVSI). For the journal paper, the report summarizing all the development process, see here. As stated, a joint group of students from the Aerospace Engineering and Computer Science Faculties under the supervision of Mr. Dror Artzi developed the airborne system. It included an autonomous unmanned vehicle with two electrical engines, equipped with a stabilized camera for ground target acquisition while pinpointing type and exact location. The aircraft also included an airborne computer for images processing, a communication system for control and image transmission, meaning an integrative system that simulates a real operational system. In order to meet the competition’s short and challenging schedule, the team’s development approach was based on an extremely quick development of the aerodynamic configuration, a quick initial sizing and building of a full wooden scale demonstrator airplane in the AE department workshop, an airplane that accumulated many flight hours through which all the system’s components (photographing, computing, communication etc.) were developed and verified. All that alongside the engineering design, analysis and the developing of image processing algorithm by the CS students. All of the development work (design and analysis), combining the systems and executing them, were performed and presented by the students of the two Faculties in a Preliminary Design Review (PDR) that took place early December of 2013. Following the aircraft configuration freeze, the students manufactured two identical aircrafts made of composite materials (Gr/Ep) fuselage and wooden wing and tail, all the airborne systems were installed in both aircraft and the students performed integration and systems verification tests to ensure proper systems functioning. In addition, they performed ground tests (including wing static loading test) for both aircraft. Towards completion of the system, the team tested its functioning in order to confirm its readiness for the competition tasks – a “Go No Go” test. The plane flew, the team worked in a well synchronized fashion, all the pre-planned tasks were done so the day ended with a “Go”, a green light. Much like in “real-life” system development, the team also experienced disappointments during the development process: an unexplained crash that was investigated by the students in depth until the reasons for the malfunction were found and until the system was fixed and improved. The crash jeopardized the development progress and the possibility to complete the system and bring it to a mature and reliable condition in time for the competition. The system was carefully packed by the students and shipped to the States where they received it, assembled it and immediately conducted flight and integration tests. Every system underwent extensive safety checks before it was approved for flight, including a structure and systems integrity check, a communication check and EMI checks, the Technion team had two aircraft and both passed the checks on the first try. Then, the students showed the judges the system’s readiness for flight – FRR – Flight Readiness Review, while presenting the entire development process and the system’s tests as well as all the redundancy mechanisms that establish the system’s reliability and safety. The competition was performed like a “real life combat operation”. Within much less than the given 20 minutes (given by the competition’s rules), the entire system was ready for action including the ground station, and after one of the students presented a pre-flight briefing to the team (in front of the judges) the plane took off to perform its tasks. The plane started with an autonomous flight along several way points, then entered a search area in order to identify targets and categorize them (type, color, orientation, location pinpointing), then surveyed outside the search area to find targets, identified a human-demo target, received communications from a ground relay terminal and transmitted them to the ground station, and finally dropped a payload from 350 feet on target. The dropping was done autonomously while the plane flew over the target, collected data (wind strength & direction) and during the following flight-path, when the launching conditions were established, the system released the payload in a very close distance of 46 feet from the target. After 30 minutes of autonomous flight the plane landed safely. The competition ended in an impressive banquet, where all the teams gathered to hear the results. We were extremely excited to hear the judges announce our high ranking (especially for a first-time participation) and we applauded as the student Naor Moadav, the “team captain”, went on stage to receive the prize. To conclude, during nine months the students experienced developing of an integrative complicated system, manufacturing aircraft, conducting analysis and complex experiments, operating the entire system while applying a Crew Resource Management (CRM) methodology , performing a “simulated real life deployment” (in the USA) and brought the system to a functional peak. All that, as mentioned, within nine months only! 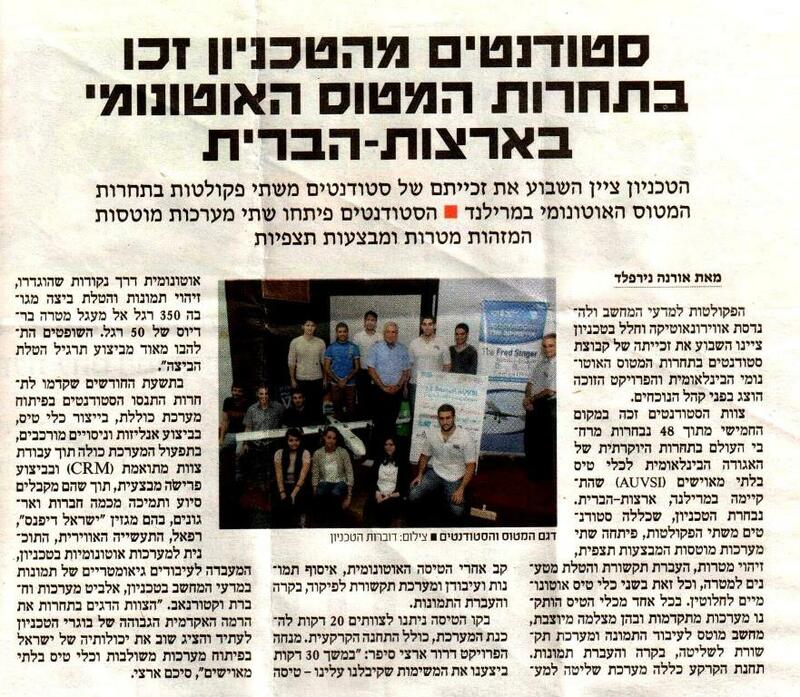 We have received assistance and support from several companies and organizations, including the Technion management, Rafael, IAI, Israel Defense magazine, Technion Autonomous Systems Program, GIP – Geometric Imaging Processing Lab at the Computer Science department, Elbit, and VectorNav, and we thank them all. The Technion team surprised the other contestants and the judges by ranking so high in its first time participating in the competition. The team demonstrated the high academic level of the Technion’s future graduates, and once again showed Israel’s abilities in developing combined systems and unmanned aircraft. For articles about AUVSI and their winning, see here, here and here.